You know those beautiful women in magazines with their locks gracefully floating in the wind? I am not one of them. I am sleep deprived and I don't enjoy being in front of the camera. In fact, when I saw the following photos I considered posting a headless shot on IG and move on. But where is fun in that? So how about we ignore the awkward photos and admire the cardigan? 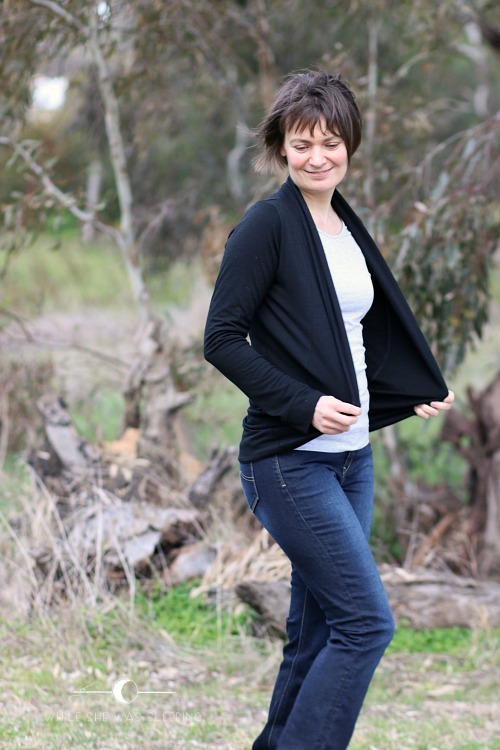 This is the Julia Cardigan from Mouse House Creations. I made a cap sleeve version of this pattern almost three years ago. I kept on meaning to make a long sleeve version ever since. While I don't really do the whole new year resolution thing (mostly because I know I won't keep any resolutions, let's be honest here), I decided to try and sew more for myself this year. No set lists or time frames. Just things I know I will wear again and again, clothes suitable for work or a park. Something easy to make and enjoyable to wear. Well, this cardi ticks every box. 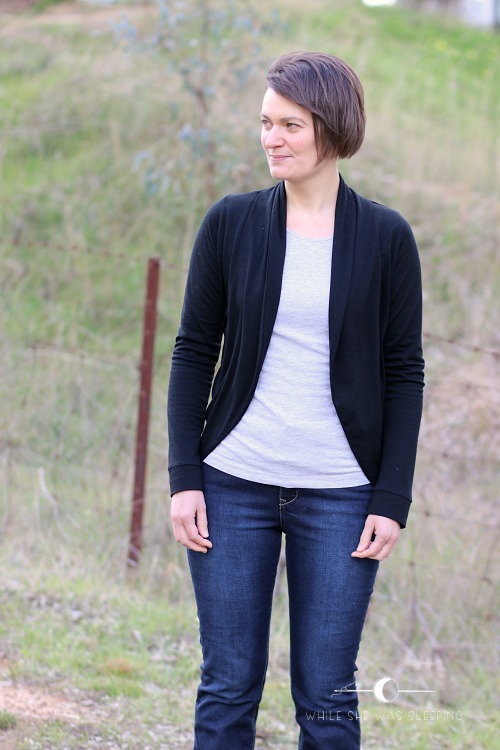 I made this cardi from lightweight merino from the Fabric Store. This fabric has such great drape it is perfect for a Julia cardigan. And it is divine to touch! I have read that a few people took the bottom of their sleeves and the cuffs in a little. I decided to sew mine 'as is', wear it for a while and then decide what I want to do. Well, it has been a few months since I made the cardi and while the width of the cuffs don't bother me, I might take them in by a couple of cm next time I use this pattern. Of course I could unpick the cuffs and adjust the bottoms of the sleeves, but somehow making a whole new cardigan sounds easier and quicker! It is officially spring here (although it is still cold). Perhaps I should start planning a 3/4 sleeve version of this cardigan so I can present it to you in 2020... looking glamorous of course! I love it! Cardigans are my favorite single wardrobe item. 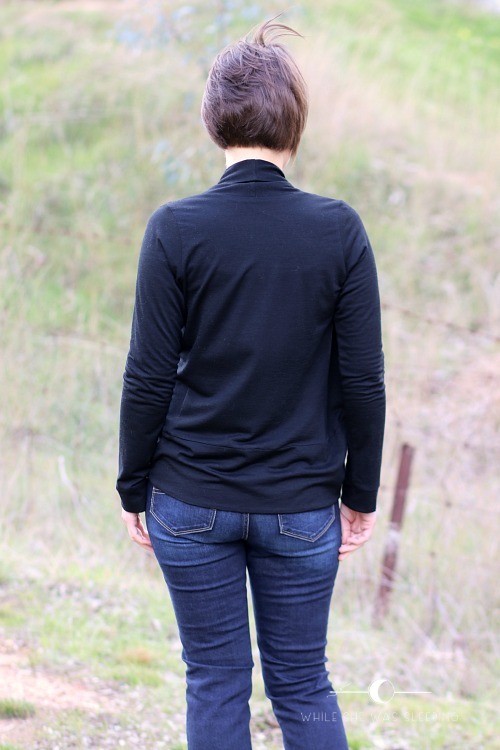 This one looks great on you - perfect fit and gorgeous fabric. Thank you Masha. 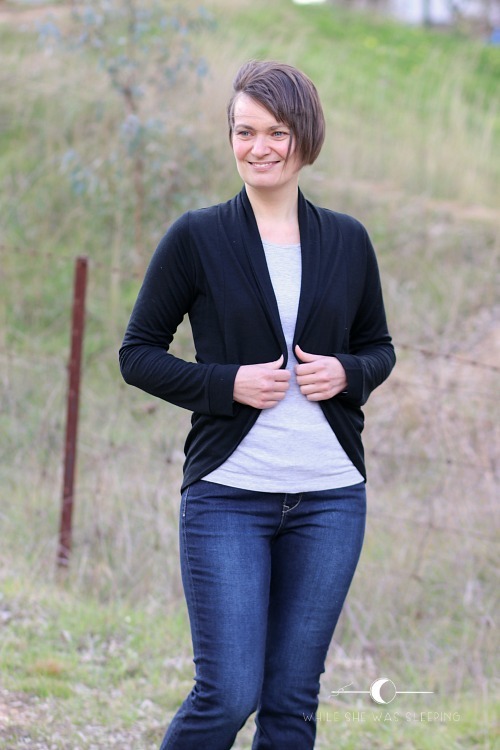 Cardigans are simply irreplaceable! Aren't they? Cool! 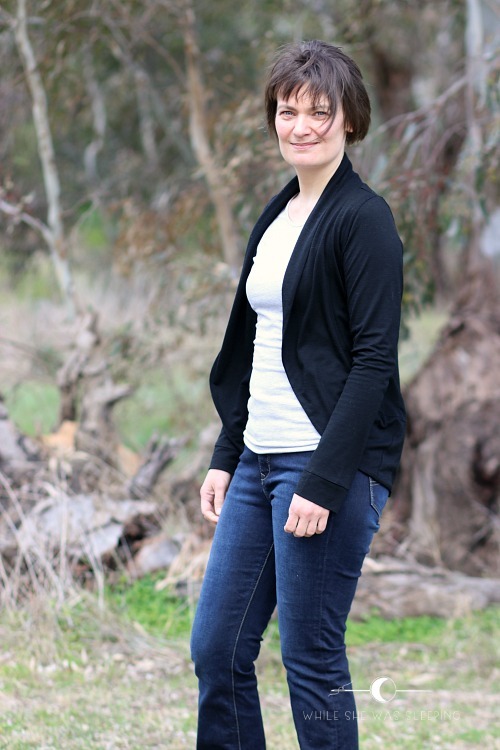 I love cardigans! It looks great! It looks great Jenya. And those merinos from the Fabric Store are the best! You are so funny, Jenya! And beautiful! I don't even see how you can look remotely awkward -- but I know how it goes; I don't feel comfortable in front of the camera either unless I'm pulling a silly face, haha. And of course the cardigan looks wonderful.